Check out what our customers are saying about us and the products we represent. You will see more comments from customers scattered throughout our site attached to items customers are specifically referring to! "The customer service that I received from John was exceptional and the reason I placed my order with this company. " "I am very pleased with my purchases and the way they were delivered. Thanks for the follow up on my order and your help from start to end! All went well for me. No assembly required! Yay! All furniture put in place." "Just wanted you to know that the cushions arrived today and they look great. They fit perfectly. Thanks for your help in replacing our old cushions..... "
"Great experience, I looked this twice on the net before ordering comparing the colors and ended up ordering the chairs one color and the table another color. I caught this on the confirmation and quickly called your customer line and Joe was all over this issue. After shippment I saw the issue not correct via the email shippment confirmantion so I called Joe again and he advised that this corrected. Sure enough when our set arrive all was correct! Shipping was also great; but I sent this set to our condo down in Puerto Vallarta Mexico - I would have liked to do this as a one stop shop but I had to handle them international shipping part through another source. I am now in PV for the week of 4th of July and all is assembled and I am now enjoying our new patio set, yay! thx! " "I received the replacement parts today. Thanks. Impressive service. " "My experience with the purchase was great. The price was good, and the item shipped at the time estimated and shipping time was quicker than expected. I called regarding the time of shipping due to an upcoming vacation and the merchant was very friendly and helpful. I will definitely do business with them again in the future." "One of my items arrived damaged and it was very quickly replaced"
"Very easy to work with They were able to hold the furniture until we were ready for delivery. Very helpful in assisting with our selections!!" "Overall process was easy and smooth- a pleasant experience! Appreciated the updates on order and shipping. Tracking was a click of the button. Everything arrived in perfect condition. Love the product!" "Excellent customer service...one of the chairs I had purchased did not have a correct brace. I called right away and spoke with a very nice gentleman who was very curteous and told me he would contact manufacturer and have them ship the correct brace to me. Received the brace within a week. We love our 4 bar stools and will no doubt buy from Outdoor Furniture Plus again." "Impressed by both the selection of products, the price, and the prompt delivery. One of the best online transactions I've had in a long time." "Wonderful service following an on-line order. Highly recommend!" "Thank you so very much for your courteous, efficient assistance regarding this matter. It is truly appreciated and I applaud your commitment to excellent customer service. I look forward to shopping with you again and will recommend you highly. " "Super fast shipping, and best price we found!" "The customer service was outstanding in keeping me up to date about my order including addressing an issue I had with the backs of the chairs ordered. Your representative was fantastic to deal with and make it easy to figure out a solution." "We had an excellent experience and, above all, the customer service was amazing. Many thanks!" "We had a wonderful experience with outdoor furniture plus. They were extremely knowledgeable helping us find the table set we wanted. Extremely easy to place a custom order and it was delivered on time!! Highly recommend this website/merchant." 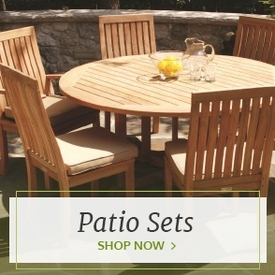 "This was our first time shopping on outdoorfurnitureplus.com. 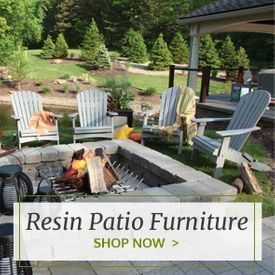 We had found the patio furniture we liked locally, but thought the price was a bit high, so we checked outdoorfurnitureplus.com where what we wanted was almost 20% cheaper (and no sales tax or shipping charges). Ordering was easy, and our furniture arrived a few days earlier than expected. Customer service was fantastic, the price was right, and we got exactly what we wanted faster than we expected. 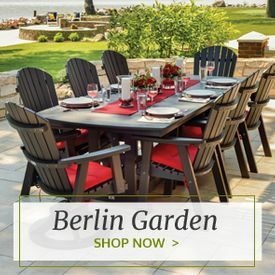 We know where we'll be buying our next piece of outdoor furniture!" "I live in NY and was ordering furniture to be delivered to Michigan during a 5 day period when I'd be there to accept the delivery. Customer service worked with me to find products that were in stock so they could be delivered during my 5 day stay, other companies were not that accommodating." "The wood rack arrived this past week (on my birthday!) and we love it. Thank you again for such wonderful customer service!" "The product arrived promptly and was just as described. I am satisfied with the purchase." "They could not have been any nicer or more helpful. The chairs did not come with instructions on exactly how to assemble the foot supports...and considering the quality and cost of the units I was afraid to just guess...they called the manufacturer and emailed us the very next day detailed instructions with pictures on how they should go together! A+++++!!!!" "Thank you. Its a pleasure to work with such a professional, customer service oriented organization." "Very accommodating and quick in response to order. Would recommend." "Holly was prompt and professional. She represents your company well!" "The teak table was exactly as we expected and delivery was faster than we expected." "My lovely bench arrived last week, and is all assembled and in use. I just wanted to thank you for double-checking with the manufacturer regarding the availability date - your helpfulness was much appreciated, and I'm so glad to have just the bench I wanted and in plenty of time!" "They were extremely accommodating to me to get my furniture delivered in time for a party I was having. They were professional and a pleasure to deal with. I highly recommend this company." "From beginning to end, your company has been so professional and has handled my order in the best way. I really appreciate the personal contacts and working hard to get my ottoman shipped to me prior to my dinner party. I would not hesitate to recommend your company to anyone and if I hear of anyone needing outdoor furniture, I will certainly tell them that they need to buy it from you." "I got my mat yesterday and it's beautiful. I mentioned to Holly in customer service that I'm replacing an original from you that lasted almost 8 years - great stuff. Speaking of Holly, she was terrific. I had some problems with my original order - it was on my end as we had some internet issues and the order didn't go through. She helped me re-enter the order and followed it though just like she said she would. Thanks, Holly!" "Thank you so much for the email and for helping me.......I appreciate your prompt and professional customer service. I would not hesitate to use your company in the future and to recommend you to others!" "Perfect for purpose and service!" "Thank you so much again for such excellent customer service. Holly was a big help with my selection and responded promptly to my message. The freight company called me this morning to make delivery arrangements. Wow what great service. A please consumer." 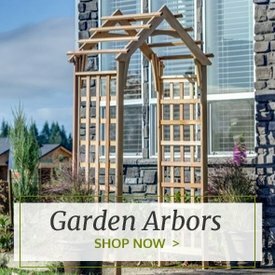 "... We both think the arbor is beautiful and seems to be very good quality. The white looks great and the green swing compliments as well.....This was my Birthday present which was August 14th, the best birthday present ever!!!!! Thanks again." ".....Again, thank you so much for your amazing customer service, and in general for being so kind and responsive and wonderful to deal with. I will definitely come back to you in the future! (infact, I have a sneaky idea for Christmas gifts!) Thank you!!!" "Everything is great! I appreciate all the help that you guys have done for me. I am not use to ordering such a large purchase over the internet. I like to see people eye to eye. It was and absolute pleasure." "I called your customer service before placing this order and spoke with Holly ..she was very helpful and knowledgable about my questions .. and delightful to talk with. Thank you!" "Excellent company to work with. Delivery as promised, merchandise perfect, just as described. I would recommend this company and would order again from them. Great selection and delivery." "Product was wonderful. Customer service was excellent with quick feedback when we received the wrong product due to a mistake with shipping. Received our product in time as promised." "These folks were great to work with." 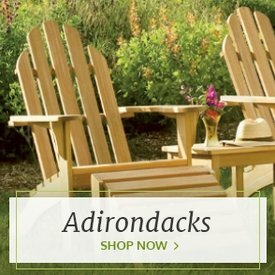 "I purchased a rocker from Outdoor Furniture Plus. The item said that it wasn't in stock at the moment, but it let me order anyways. After I purchased it, I got an email from Holly in their customer service department apologizing for its not being available, but that it would be in late March. No problem - I wasn't expecting it til then anyways, but it was nice of them to write. At the end of March, I received it. All was good, except a small piece had broken in shipment. I wasn't sure it was a big deal, so I glued it back together and was planning on using it as it was. But to be sure, I wrote them back and sent some pictures of the issue. I told them I was willing to roll with it, but that I'd ask them to replace it if I had a problem with it. Holly wrote me back and said a replacement was on the way. So I recently received the replacement part, in fine condition, and put together my rocker. This took patience since the instructions were not perfect (the pictures could be better) and I'm not super handy. But I got it all together and it looks great. So thanks to Holly and OFP for the great customer service." "Thank you to the lovely lady who helped me in customer service today!!" "Thank you for updating my order so quickly and easily. Kudos on your excellent customer service. Fast communication. A+." "I needed my furniture to arrive after a specific date, and they timed my delivery perfectly. I am happy with my outdoor furniture purchase." "Just to let you know that the cover arrived today and the fit is excellent. That certainly was fast! Thanks again for all your help." "Thanks Holly! You have been the best!! A company is worthless unless they have good customer service & I Have to say you have gone above and beyond!! I will be purchasing the chairs from your company & will recommend your company all based on the GREAT customer service!! They are lucky to have you!! Thanks for all you have done, I greatly appreciate it!" "We appreciated your promptness-way beyond our expectations. We appreciated your followup contact...remembering why we were getting the swings, where they were going, etc. You took a real interest in us. We would recommend you to anyone." "Everything went smoothly and the product is exactly as expected at a competitive price." "Purchase was straightforward. Delivery was received within the window of posted date. Product seems reliable so far." "Your customer service is impeccable. I'll definitely buy from your company again just b/c of that." "I purchased two gable vents that I am using as indoor wall art. The reason I chose to purchase from Outdoor Furniture was their flexibility to custom make exactly what I wanted. I emailed a picture of how I wanted them made, and they turned out exactly like the picture. The reason I gave "Price" a 4 was due to the fact that I chose custom, and with custom work, it always costs more. But I was willing to pay more to get what I wanted. The reason I gave "Delivery" a 3 was not necessarily Outdoor Furniture's fault. When the first vents arrived, they were badly damaged beyond repair, but it appears that the delivery company dropped something very heavy on them. Outdoor Furniture made two more vents for me in a very timely manner and they arrived in perfect condition the second time around. Outdoor Furniture Plus was fantastic to work with, and was very patient with me going back and forth making changes to certain dimensions. I would highly recommend them, especially if custom work is requested."